All season tyre review 2015! All season tyres are becoming more and more popular in the UK. They provide year-round usability, because of their tread patterns with summer and winter zones. Because of the good balance between the performance of summer tyres and the cold-weather prowess of winter tyres, these tyres ensure a good balance. With a good set of all-weather tyres, changing your tyres twice per years belongs to the past! Eventhough all season tyres are performing good these days, there is still some quality difference between the different models. Therefore we advise to check an all season tyre review, before you purchase a new set. To assist you in choosing your new tyres, we will we provide you with information about some all season tyres which are worth considering. This list is based on test results from independent automobile clubs from different countries. This year, we will provide you information about the popular tyre size 225/45 R17. This tyre size you find on most family cars these days. The all season tyres had a weight index of 91 or 94 and a speed rating of W or Y. The tyres are tested on Continental's Uvalde proving ground in an unseasonably cool and wet Texas..
All season tyres should perform well under any weather conditions, therefore it is important to have a wide range of test criteria. The key performance criteria for testing all season tyres are: Wet handling, Wet cornering, Wet braking, Dry braking, Dry handling, Straight aquaplaning, Curved aquaplaning, Rolling resistance, Cabin noise and Price. Below you will find an overview from the 3 best all season tyres of 2015. 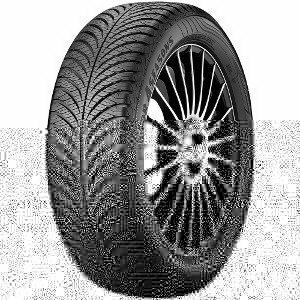 These 3 tyres are recommended because they perform well in the various test criteria. These tyres can be used all year round without worrying about your safety during weather changes. The winner of 2015 is Goodyear Vector 4Seasons G2. This all season tyre is a tyre where you can rely on the whole year. On wet, dry and snowy surfaces this tyre performed very well. This all-rounder hat the shortest braking distance on wet surfaces and both on dry and snowy surfaces this tyre performed outstanding. 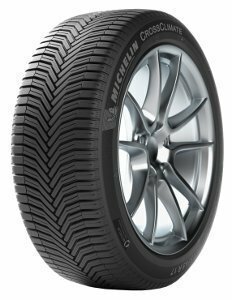 The Michelin Crossclimate is a summer tyre, which has a winter tyre labeling and thus can be driven year around. This Michelin all season tyre performed excellent in the areas dry handling and short braking distance. The Cinturato AllSeason from Pirelli is the number 3 from this test. 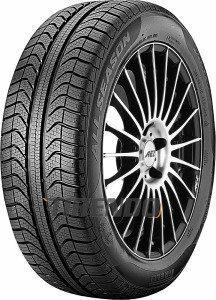 This all season tyre has a stable handling and good braking on dry and wet surfaces. A disadvantage of this tyre is the performance on snowy surfaces. Are you looking for new tyres? Use our configurator and find the best tyre deals.